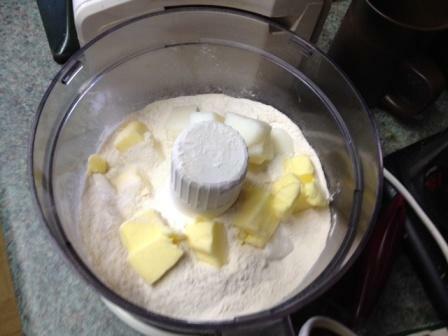 Make a perfect quiche pastry using your food processor. 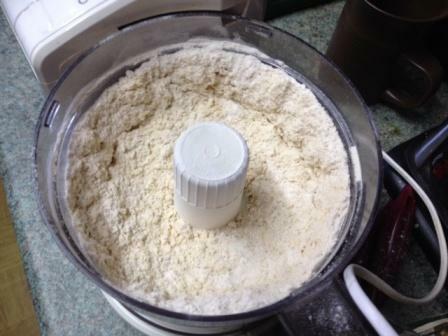 It takes seconds to mix to the ideal 'breadcrumb' stage. To save on time and washing up, make up a few batches and freeze them for using later. You can either freeze it rolled out or in a block. The recipes I read in books always specify plain flour, but the 'secret' that my Grandmother told me donkeys years ago, was to use self rising (raising) flour. It works every time - I have never had a hard, dry, tasteless pastry when using self raising, but I have had some failures when using plain. 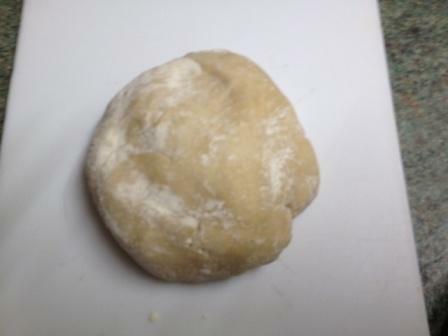 1/4 pound (4 oz, 110g) butter, margarine, lard or combination. 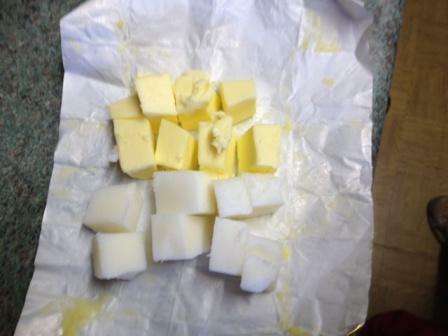 I like to use half butter and half lard, but it is your choice - a lot of people use all butter or margarine. 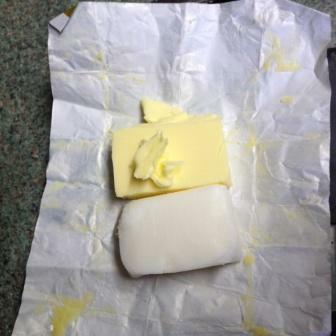 Make sure the fats are cold and hard - cut up into portions as you see here. 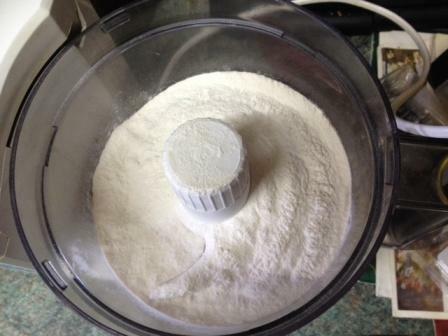 Tip the flour into your food processor. 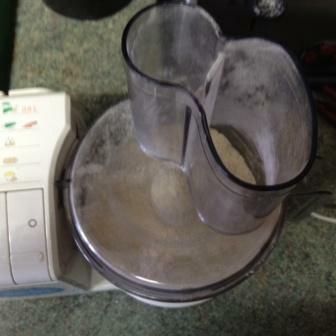 Add the fat, put the lid on and whizz for about five seconds until the mixture looks like fine breadcrumbs. 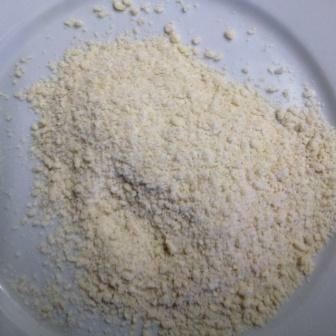 This picture on the left is 'fine breadcrumbs' it would take about 5 minutes of rubbing by hand to get to this stage. 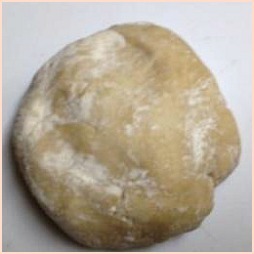 Drizzle about 2 tablespoons of milk through the hole in the top of the processor until the pastry forms a solid lump. 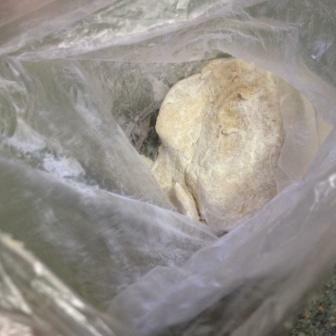 Put a tablespoon of flour into a plastic bag and shake it. 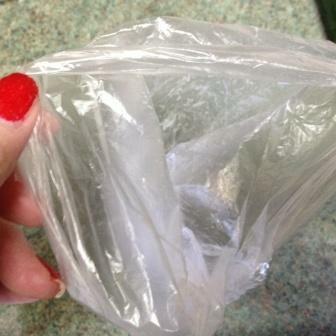 Pop the pastry into the bag and put it in the refrigerator to chill for about 30 minutes. 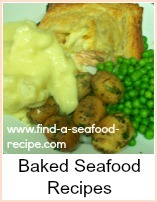 It is now ready to roll out for whatever dish you are preparing. 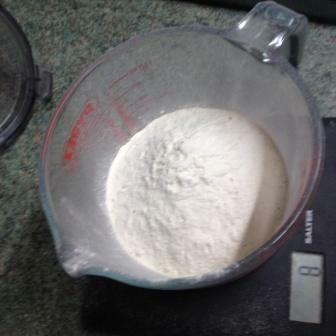 If you want to increase or decrease the amount you make, then just alter the quantities, but keep the same ratio - 1 quantity of flour to 1/2 that amount of fat. 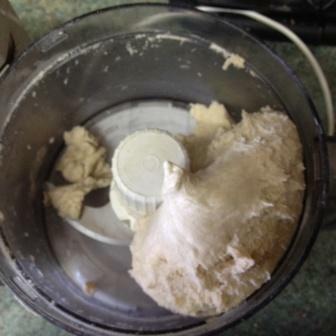 Bear in mind the capacity of your food processor when altering the quantities - it's better to make the quiche pastry twice, than burn out the motor because you've overloaded it. You won't need to wash it out in between making batches. 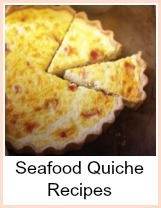 How to make quiche pastry with step by step photos.